Gosh, it’s hot here today, probably the hottest day we’ve had on our holiday so far! We started the day with a Skype ‘chat’ with my Bro and SIL back home in the UK to catch up on all the news and for them to say ‘hello’ to Dot and Nat, then it was time for breakfast. 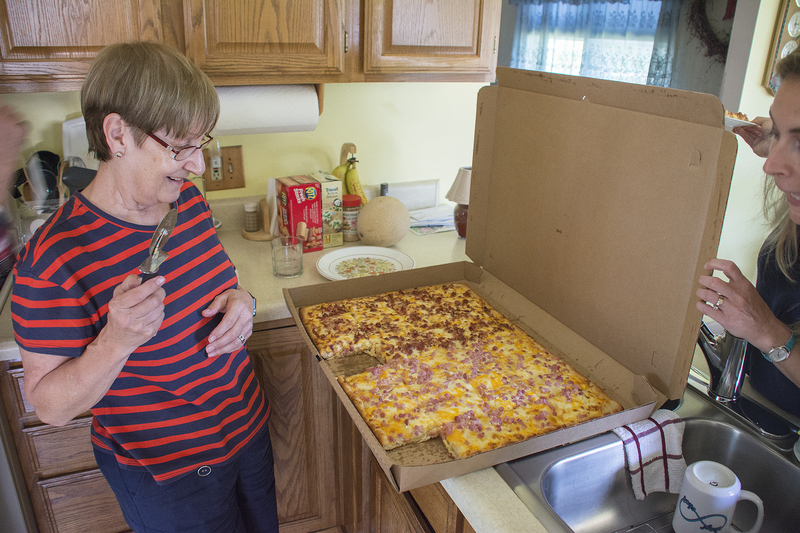 Dot had made a special trip to the local store to buy us a breakfast pizza! We’ve had one before, they are very good indeed, but oh my, this one was huge! One side was bacon and eggs, the other ham and eggs. Now, that’s what you call a pizza …. only in the USA!! 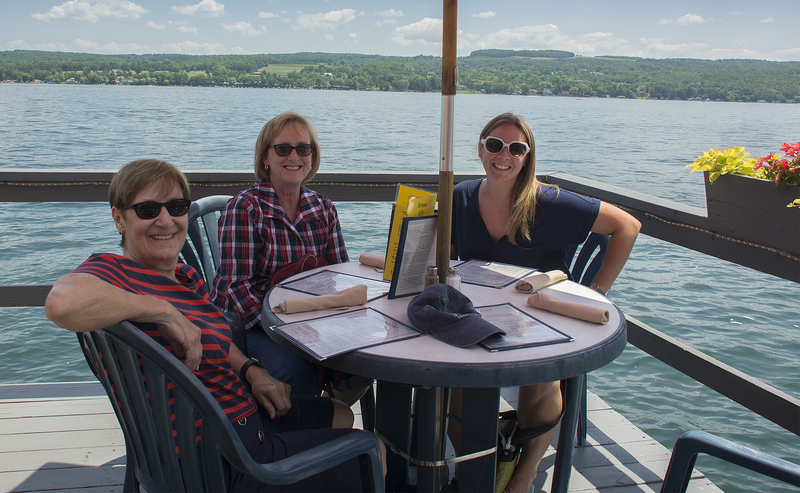 It was our plan to head towards The Waterfront Restaurant in Hammondsport for lunch. Later of course, not immediately after breakfast pizza! 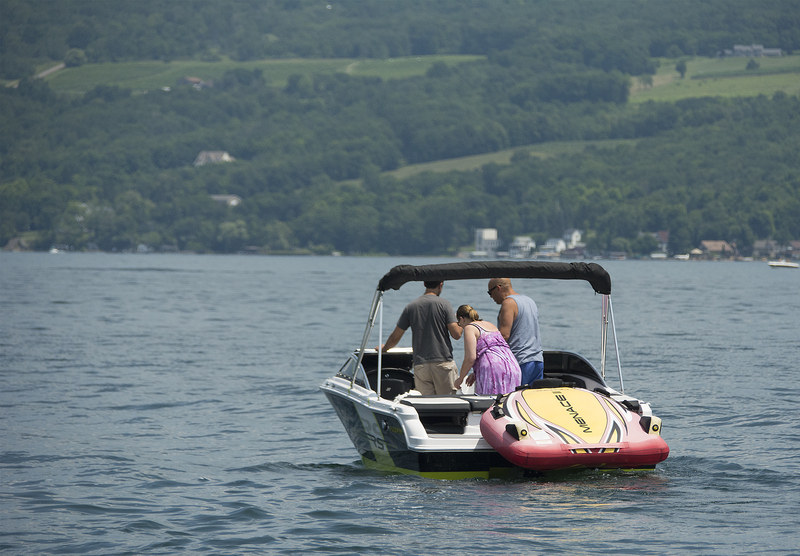 We’ve been there before and it sits right on the beautiful Keuka Lake. 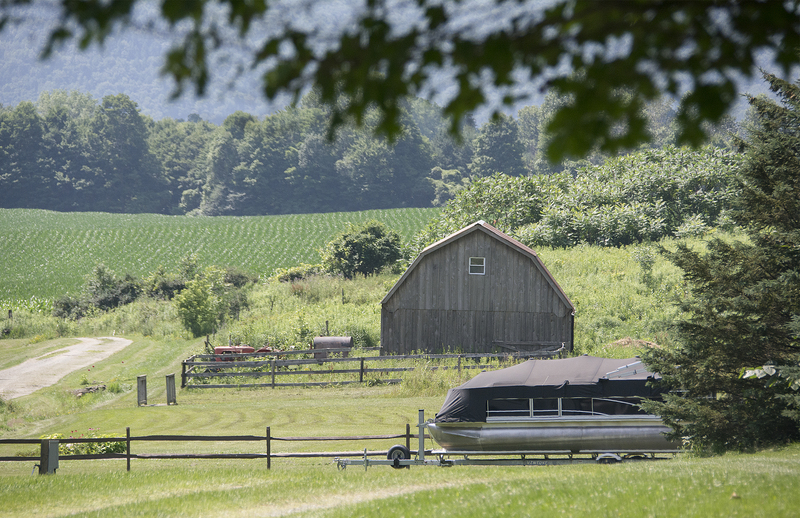 The last time we visited we saw a sea plane landing on the Lake. On the way we stopped off at Dot’s summer camp. 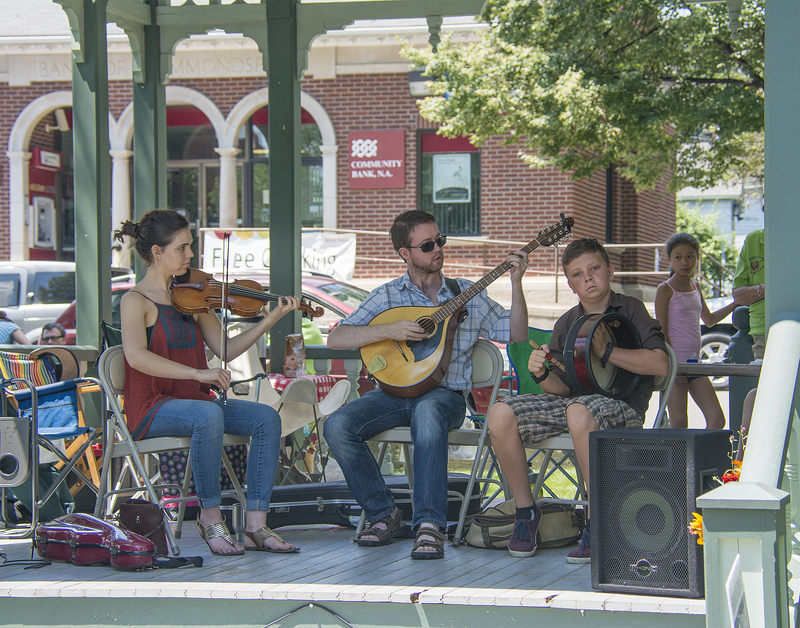 Before we got to the Lake we stopped off in Hammondsport to take a look at the annual Art Show that was being held in the town square. There were lots of jewellery, pottery, photographic and painting stalls. At one photographic stall we came across lots of photos that could have come straight out of our laptop!! it seems that the photographer had visited lots of the same places as us and had taken lots of the same photos as our resident photographer! There was even an Irish band to keep us entertained, they were very good. There was one particular jewellery stall that we took a great interest in where the necklaces, bracelets and earrings had been handmade featuring Caring Stones, that is African Kazuri Beads. 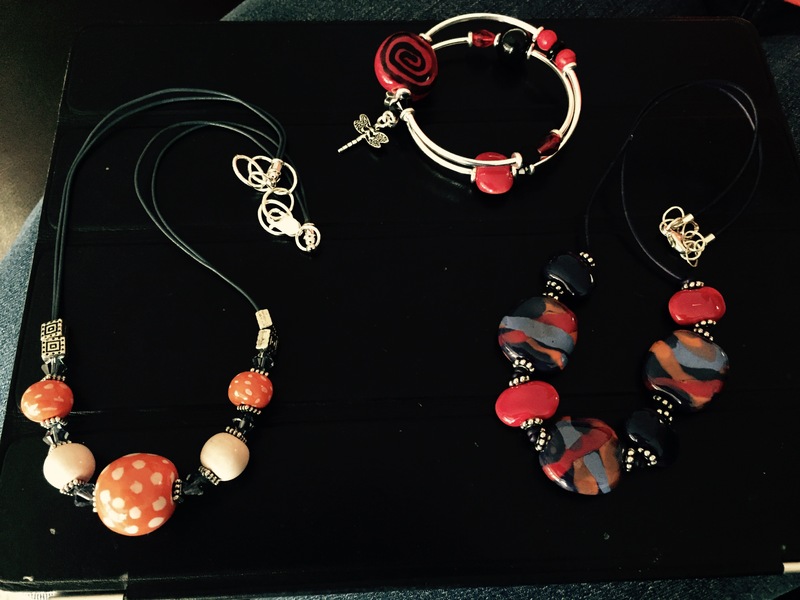 Kazuri (meaning “small and beautiful” in Swahili) beads are unique, hand crafted ceramic beads made by women in Kenya. The industry started and continues today, for the purpose of helping disadvantaged Kenyan women find a way out of poverty and currently supports employment of over 300 African women. Kauri provides these women, primarily widows and single parents, with fair wages, benefits, child care and AIDS education. All Kazuri products are fair trade. We were enticed to buy a few things! 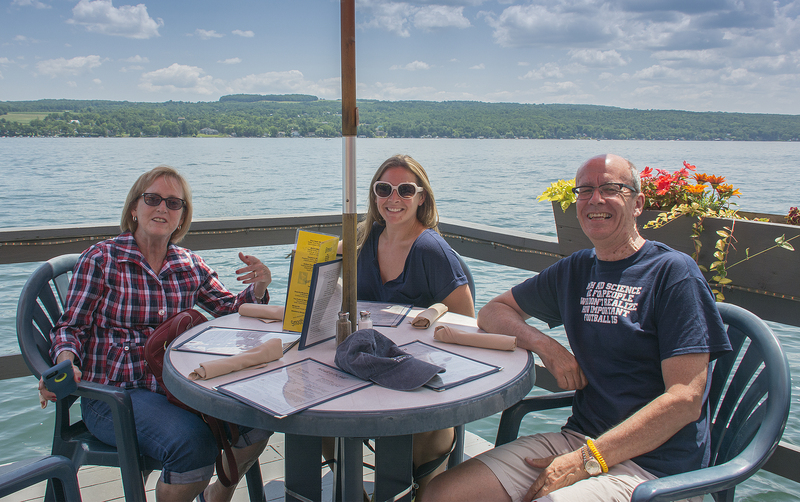 After our purchases we continued on to The Waterfront where we managed a fine lunch at a great table while enjoying all the boats on the Lake. 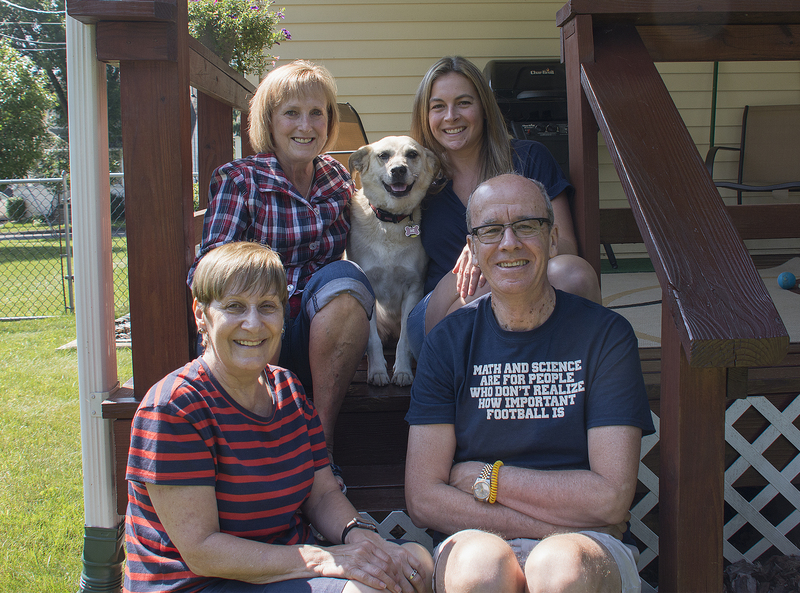 Sadly, Nat had to leave us today and return home to Pennsylvania but we look forward to the time when we will all be together again. 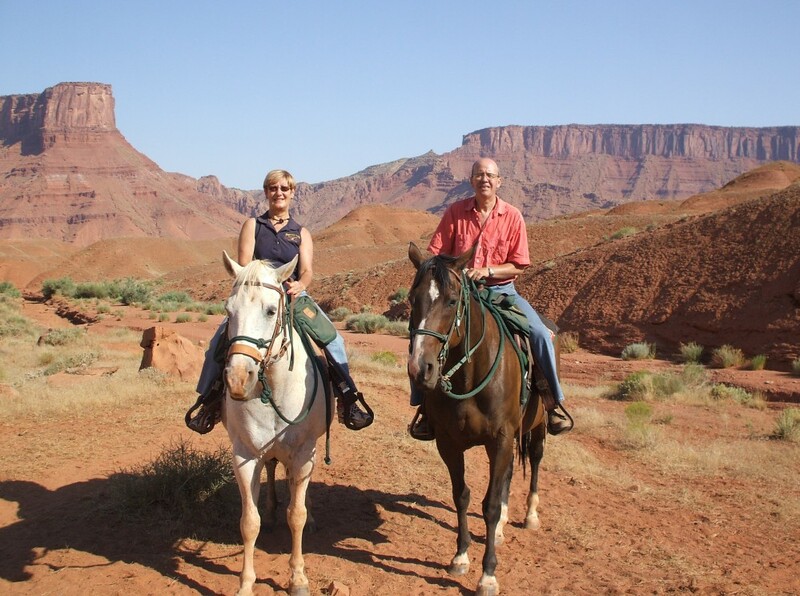 This entry was posted in Holiday by Simon and Sandra. Bookmark the permalink. Oh my! No, you should just be able to click on them ……….. I’ll check it out! Really, you do? He’s bought a couple with silly sayings on them. We leave to fly home on Tuesday, it’s all gone very quickly. PS: I’ve reloaded the videos so try again!